The rising number of e-commerce portals that have sprung up in the recent past indicates that a lot of startups have started to catch on to the trends of the modern millennial shopper willing to make their purchase online rather than from a brick and mortar store. One of the biggest factors that determine this shift in consumer behaviour from shopping in stores to shopping on their smartphones has been the convenience factor. However, the e-commerce model does come with two main caveats when it comes to competing with offline stores. The number one factor is that consumers only have previous customer as well as influencer reviews to go by whereas with most products offline shops offer the try before you buy experience. But the bigger factor at play here is number two, the delivery services! So most fledgling e-commerce sites struggle while choosing their delivery partners and many decide to bite the bullet and opt for slower couriers that do not offer any sort of same day delivery services. That however is a grave mistake one that can stunt the growth of your e-commerce portal for a very long time. Why? Well, that’s what we are gonna discuss today in this piece where we figure out why Same Day Delivery Services are crucial to most new e-commerce portals especially those which are concentrated on being hyperlocal startups. Now while this might apply more to some ecommerce niches than others, when it comes to food related startups as well as most hyperlocal e-commerce options, same day delivery is not just an option, it is an absolutely vital necessity. If you are operating your e-commerce portal in something like the grocery or the food delivery niche, your courier network should be able to handle not just same day deliveries but have the ability to complete orders within a matter of hours. Also sacrificing on accuracy just to increase the speed of delivery is not an option either as people cannot just return food items as easily as something like consumer electronics. Precisely where courier solution like Next Day Delivery step in. These region specific couriers have a very dense and well thought out layout in their areas of operation (UK for our specific example) and are a perfect business partner for e-commerce sites that are looking to get their goods delivered to their customers fast. 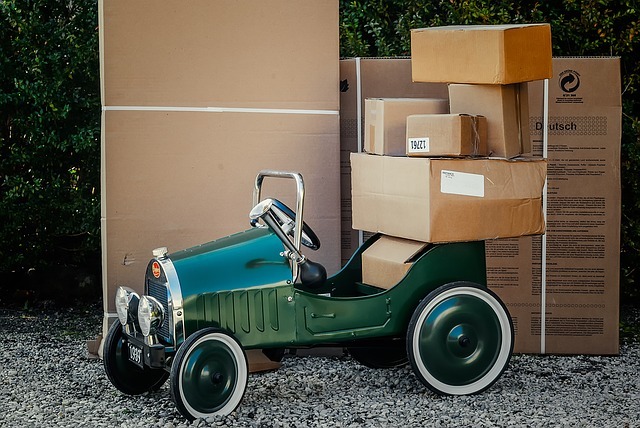 With inventory and storage costs going through the roof, it becomes imperative for every lean startup to reduce cash flow on inventory as much as possible.However, without a swift courier partner by the side, most e-commerce sites are forced to pick up bulk orders and store them in a warehouse so that they can deliver their customer orders in time. However, with the help of one day delivery as well as just in time manufacturing processes, many new startups have kickstarted the trend of keeping zero to negligible inventory which brings down the storage costs dramatically! Several studies have revealed that millennials are an intrinsically impatient bunch and they want everything from their hotel bookings to their e-commerce deliveries to go through as fast as possible. Now with so many e-commerce portals popping up all over the place, it becomes nigh on impossible to stand out from the rest especially if it devolves into a pricing war to the bottom rung. However one excellent way of differentiating your e-commerce portal from the rest is to offer same day delivery services. Not only does that make customers happy which increases the retention rate of online shoppers far more than any coupon or discount code can, it also gives off the instant gratification vibe that is very important to the modern online audience. Now while these are the 3 most important reasons for choosing same delivery services, there are a lot more including making yourself more of a serious threat to the biggest monopolies in the e-commerce industry – the likes of Amazon and WalMart! But establishing same day delivery is a task that comes with it’s own set of challenges and is easier said than done especially if you do not choose a competent courier for your order fulfillment and delivery services. Just something to keep in mind before you roll out same day delivery services for your very own e-commerce portal! Restaurant Delivery Service: Outsource or In-House?